Welcome to G.S. Appliance Repair Service﻿. We are small local company﻿ in Sacramento area. Highly skilled and qualified technicians that have experience in dealing with a wide variety of appliances.﻿ We provide the affordable﻿﻿ and quality﻿ appliance repair you need. We are open Monday to Saturday﻿ 9am to 8pm.﻿ The service call only $29 for most brands ﻿and credited toward the cost of the repair﻿. Click here for service details. Repair services﻿﻿ in all Sacramento Area: ﻿Antelope, Carmichael, Citrus Heights, El Dorado Hills, Elk Grove, Elverta, Fair Oaks, Folsom, Gold River, Granite Bay, Lincoln, North Highlands, Rancho Cordova, Rancho Murietta, Rio Linda, Rocklin, Roseville, Sacramento, West Sacramento﻿. If you're experiencing appliance problems﻿ you are at the right place! ﻿﻿Schedule Service Now for precision appliance repair services. 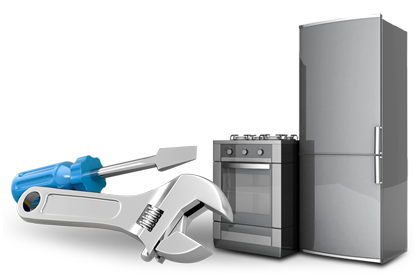 We repair Washer, Dryer, Refrigerator, Icemaker,﻿ Dishwasher, Oven, Stove, Range, Microwave, Cooktop, Disposal. Brands Admiral, Amana, Bosch, Beverage Air, Dacor, Estate, Fisher&Paykel, Frigidaire, General Electric, GE, Hotpoint, Jenn-Air, Kenmore, KitchenAid, Kirkland, LG, Magic Chef, Maytag, Roper, Samsung, Sears, Sub-Zero, True, Whirlpool, Tappan, Thermador, Viking, Wolf, and other.